Part of any defensive driving course is teaching participants to learn and understand the rules of the road, but there are many hidden, obscure, and downright weird laws in Colorado that many motorists are not aware of. In this article we’ll go over a few “lesser known” laws to help get you up to speed. Most states and cities have their own share of obscure, unenforceable laws, such as the fact that it’s illegal to hunt whales in Kansas, so just remember, this is all in good fun and not meant to scare anyone. We’re not sure where this odd law comes from, but if you live in the city of Alamosa, CO then be careful not to throw any missiles at any vehicles “designed for transportation of persons or property.” Whether the wording surrounding “missiles” refers to the military variety or is simply a means of describing projectiles remains unclear, but it’s safe to assume that you will get into trouble if you throw anything at any cars or trucks in your area. If you die, then (at one time at least) you wouldn’t have been able to hire a black hearse to travel through the streets of Denver, CO thanks to this obscure law. Fortunately, for many motorists that we’ve met this law doesn’t seem to be enforced these days or they would quickly be finding themselves buying a car in a different color or taking the bus on the weekends. If you’ve been experiencing car trouble, then you may want to avoid driving through Fountain, CO because if your car breaks down on a public right-of-way, you may find yourself paying a fine for the inconvenience. Additionally, if you think you’re safe leaving your broken-down car on your own property, think again, because keeping a broken down car on private property is also a ticketable offense. If you happen to be driving through Westminster, CO between the hours of 9 pm - 4 am then be sure not to get lost, or to allow someone driving your car to get lost because it’s against the law! 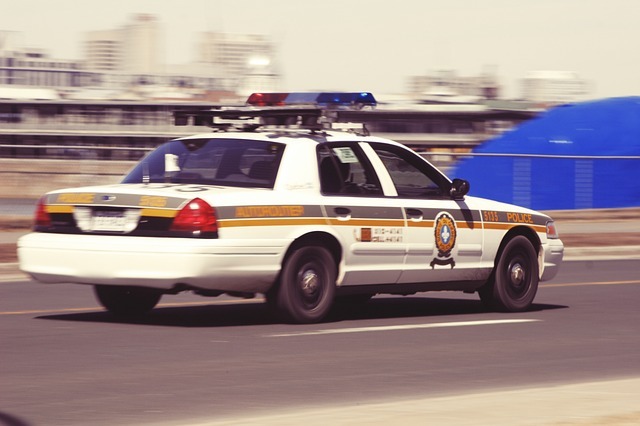 The offensive elements of getting lost are unknown, but if you find yourself driving in circles through this Colorado city then it may not be advisable to ask a police officer for directions, or else you may risk being fined simply for not knowing your way around at night. Our final obscure driving law also comes from Westminster, CO and dictates that if someone parks less than 2ft from your vehicle, that you will be fined for allowing them to park too close. How much the fine is, and how officers determine who is at fault seems to be unclear, but in any case parking in a designated parking lot may be a wise move instead of risking a ticket. As you can see, lawmakers occasionally have a little too much time on their hands. Be glad that you have something to laugh about and remember that safety is what’s really important when you get behind the wheel. Want to learn more about defensive driving and practice your skills on the road? Then sign up for Littleton Drivers Ed classes this summer.